How on Earth (no pun intended) does one write a screenplay like The Martian, where the majority of your story is set on an alien landscape? How, in addition, does a screenwriter attack a story where the lead character is all alone on a planet for 95% of the film? I’m sort of appropriately naive, because if I knew how hard these things would be [to film], I sometimes probably wouldn’t do them, you know? But Ridley, I mean… I watch the movie, and I forget that we didn’t actually shoot it on Mars. When we’d watch early cuts, occasionally the camera would pan over and catch a bush they hadn’t painted out yet and I’d go, ‘Wait a minute, that’s not Mars?’ Even my brain just couldn’t figure it out, because boy, Ridley’s good at that. Goddard admitted that he does think of the budget before he writes the screenplay, and if it looks like thye won’t be able to afford exotic, martian locations, he might start thinking about ways to cleverly get around the visual obstacle. 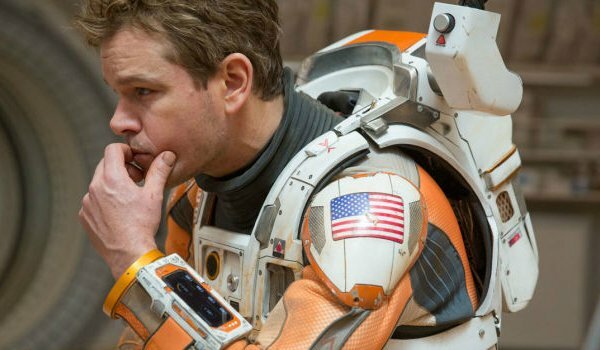 Thankfully, one of the reasons why The Martian is so fantastic is because it LOOKS great. 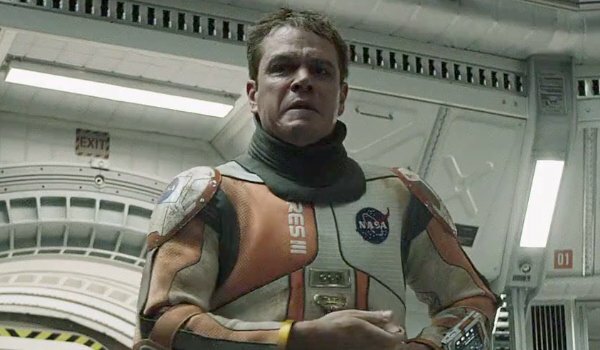 And we believe that Matt Damon is all by himself, on an alien world. I think part of the reason I became a writer is because I’m comfortable being alone. So it’s this weird combination, and I think some of this is in The Martian, where there’s good and bad to it. There is something -- I don’t view being alone as a negative all the time. I think you have to balance it, you know? I think there’s those moments of reflection that -- and there are moments I think in the movie where -- it’s almost spoken as a positive that I’m the first man alone on a planet. Like, there’s something so sad about it, but also so special about it. Like, there’s weird… we tried to capture both, so that it isn’t, so that then when you’re not alone, it means more I suppose. Because, like, you’re just craving connections in this movie. 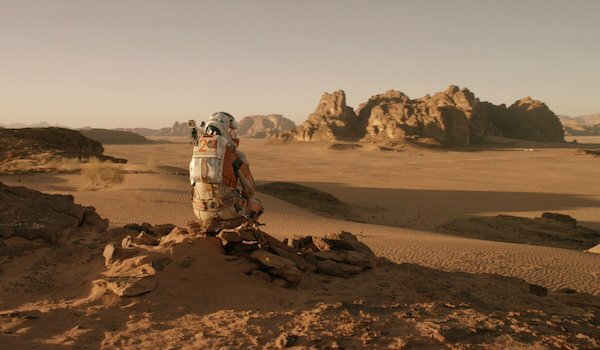 That feeling of isolation, and of joy when a connection is established, is very important to the vibe of The Martian, and it’s yet another aspect that Drew Goddard and Sir Ridley Scott got right when adapting Andy Weir’s novel. Hmmm, that’s a great question. I was really excited about a couple of the montages, you know? The ‘Waterloo’ montage. I just was like, that’s going to work. Remember Drew Goddard when you get to the Waterloo scene in The Martian, which opens everywhere on Friday, Oct. 2.